My daughter wished to have fringes to this shawl. I had to order more yarn as fringes need many yards of wool. 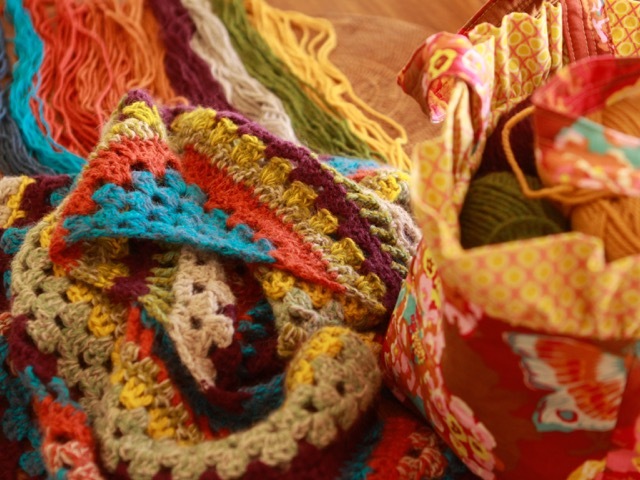 They need as well many hours work, almost as many hours as to knit the shawl! For how to make fringes, you can find the tutorial HERE. 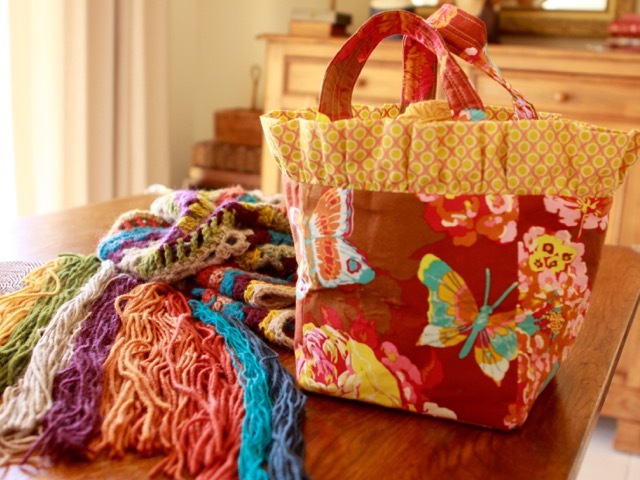 On the pictures you can see a bag I had sewn with a lovely fabric designed by Anna Maria Horner. 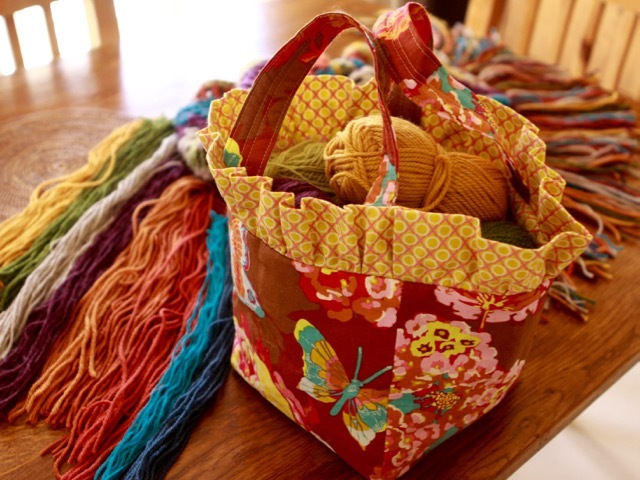 When knitting I like to store my yarns in a color matching bag! 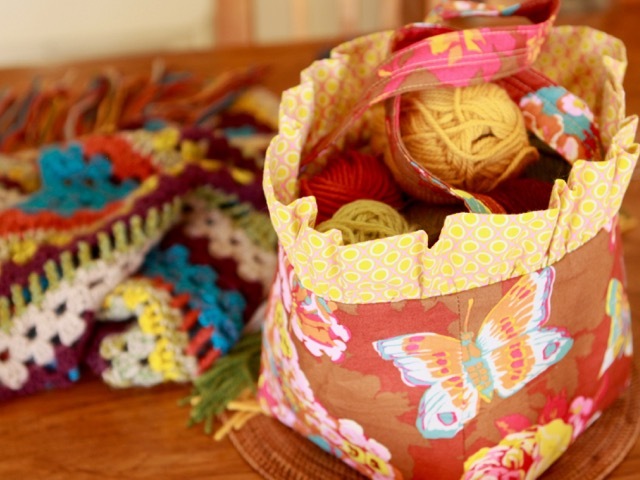 Wonderful rich colours in both your shawl and bag Christine, love the butterflies! Now if I was still living in England I would be enquiring about you home in France like a shot!! Thanks! No, I don't make a matching bag for every item I knit, but most of the time I find one among all the bags I have sewn in the past... and sometimes I offer the bag! Love the matching bag, what a fun idea! Love the shawl and you MUST have fringe. I am working on mine now. I thank you for sharing the original that got me excited to make one. 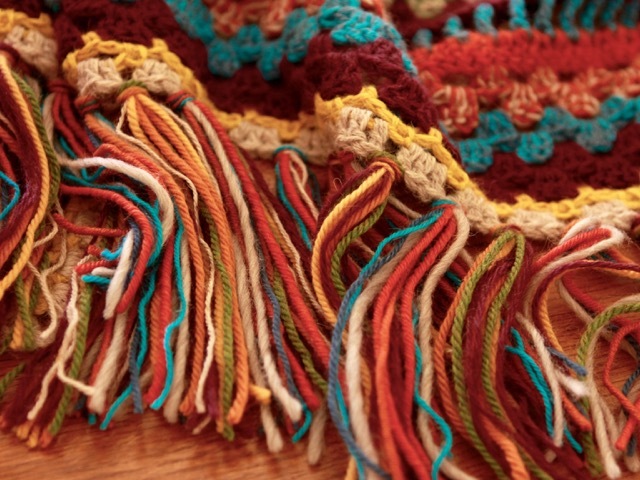 The fringe is beautiful, and will make the shawl that much more Bohemian. I didn't know it took so much yarn or time! It is a very pretty bag too. I'm sure you smile every time you pull out a ball of yarn from it. 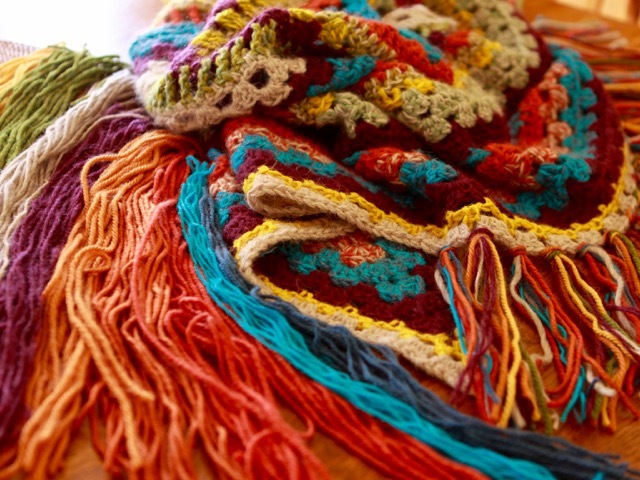 The colors of the shawl are LOVELY. I lové your bag . It sur very Nice.